Australian Aborigines embark on a Walkabout that is a spiritual journey and/or rite of passage – a journey of self-discovery and transformation. In the National Writing Project we treat the walkabout in much the same way. Writing walkabouts are a regular part of our events in an effort to free our inner writer. 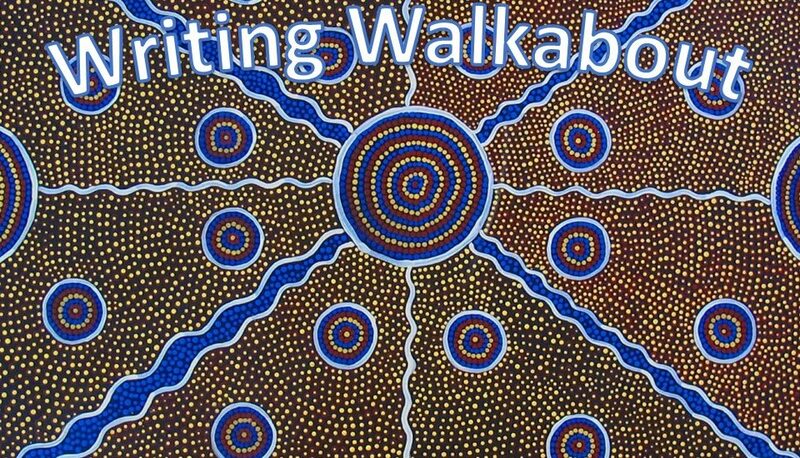 The walkabout makes a wonderful writing prompt because it is so easy to execute and yet can offer tremendous reward. Wandering and wondering, the aborigines sing songlines to guide them over the landscape. These songlines connect people to places and history. Your landscape can be rural, suburban, or urban. It can even be nautical if you have access to a watercraft, bridge, or pier (Note: I’m already thinking about a waterproof pouch I can use to transport my notebook when I swim at the lake). You can even mix up your locations during one writing walkabout or between walkabouts. The idea is simply just to shake things up and write in a new location while offering up new inspiration for your muse. Richard Louth who was the director of the Southeastern Louisiana Writing Project started them within the National Writing Project, but I don’t know if they existed outside NWP before than. He used Hemingway’s Moveable Feast as an inspiration, the idea that going out into the world to write instead of writing in a study or library was a very Parisian practice, and Hemingway could either write about what was in front of him or travel through his writing back to his childhood in Michigan. The point is to change your space and location (physically, mentally, emotionally) by walking from one location to another over a pre-determined time period. Think, observe, reflect as you walk. Then stop and write. If you are struggling with your writing or simply need a fresh inspiration then a writing walkabout is a sovereign cure. Sometimes all you need to generate writing is a change in location and sometimes you do not even need to go very far — simply take a few steps out your front door or a short drive from home. The best places to write offer some place to sit and an excuse (such as a cup of coffee) or opportunity (such as a bench) to linger and something interesting to study and write about. These places can be on Main Street or in the woods. These places can be found in second-hand stores or art galleries. I have perched on street curbs and garbage cans and loading docks and fallen trees. I have braced my notebook against walls and fences and boulders. There are no rules about the location of a writing walkabout. Sometimes I have deliberately chosen a place because I have to drive there and sometimes I have simply wandered around a neighborhood until I spotted a likely spot. There are no rules about the time you spend writing as long as you write. When I have been part of a structure writing walkabout with other writers we generally write for 10-15 minutes per location, but when I am on my own I simply move on as the mood strikes me. So embark on your own writing walkabout and don’t forget to share using the #JustWrite hashtag!